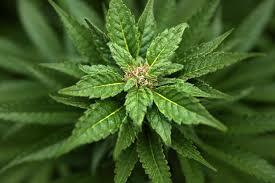 Categories: recreational drugs | Tags: cannabis, marijuana, pot, recreational drugs, weed | Permalink. 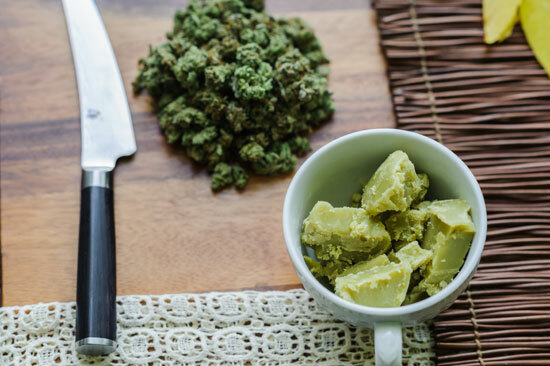 Yes, we’re talking cannabis cuisine, a small niche in the culinary world but one that is drawing more interest as the legalization movement moves pot closer to the mainstream. “When I sell books personally at events like Seattle Hempfest and Denver County Fair, response has been huge in those states that have newly legalized, and I will sell hundreds of copies over a weekend,” says Elise McDonough, author of the “The Official High Times Cannabis Cookbook,” which grew out of the recipe column in the magazine (which, by the way, turns 40 this year). McDonough, who lives in Santa Cruz, California, has a new book out this summer, “Marijuana for Everybody,” which includes a chapter on cooking with cannabis, as well as advice on selecting edibles from newly legal retailers in Washington state and Colorado, the two states that allow the recreational use of marijuana. 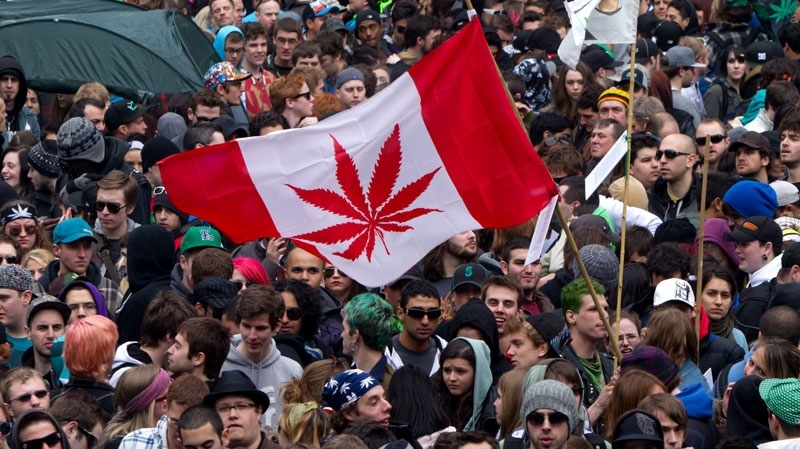 “I think as the legalization juggernaut continues to roll across the nation, you’re going to see a lot more interest and a lot more books,” says McDonough. 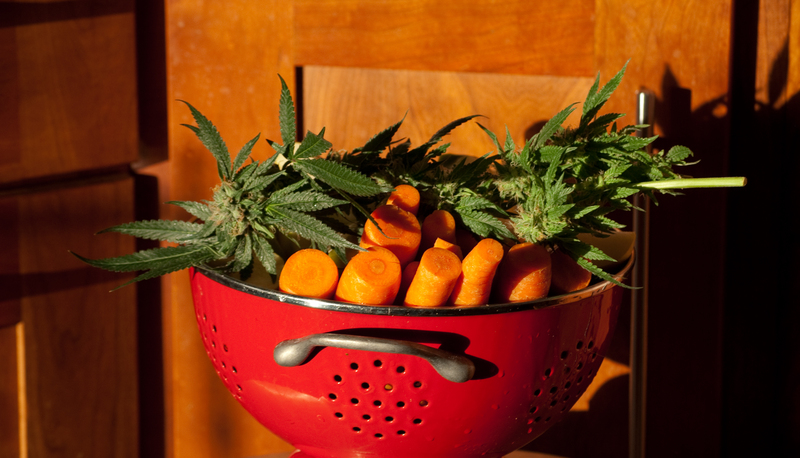 Finding hard data on pot cookbook sales is tough. But a look at Amazon’s rankings show that several, including McDonough’s, are enjoyed renewed sales vigour, particularly considering their specialty status and that most are at least several years old. McDonough says about 35,000 copies of the High Times cookbook have sold, a respectable total for a niche genre. Titles in the marijuana cookbook category include “The Ganja Cookbook Revolution” by Jessica Catalano, “Baked: Over 50 Tasty Marijuana Treats,” and “The Cannabis Gourmet Cookbook,” by Cheri Sicard. Sicard, like McDonough, has a new book coming out – “Mary Jane: The Complete Marijuana Handbook for Women” – cheekily set for release on 4-20-15, an unofficial holiday for marijuana fans. And it, too, goes beyond recipes to take more of a general lifestyle approach. But brownies, points out Sicard, are not the only choice for the marijuana cook. In fact, it’s easier to work with the pronounced herbal taste of the drug in savory dishes. Sicard, who lives in the Los Angeles area, was a food writer before she became a marijuana recipe expert. That’s a skill she developed after getting a medical recommendation to take marijuana for chronic nausea. Researching ways to use marijuana, and wading through advice both good and bad on the Internet, prompted her to write her own book. “There is a lot of misinformation out there and that is why there is the need for good cookbooks,” she says. What Nutritional Value Does Marijuana Have? Because no other single plant on earth can compete with the nutritional value of hemp. The nutritive properties of the hemp seed are astounding. Rich in essential fats and oils, the seeds could provide a nutritional boost to a food-culture which mistakenly percieves all fat as a bad thing; which is more and more lacking in the important fats oils; and which is being inundated with downright dangerous fats, oils, and synthetic substitutes. The seeds can be ground into a flour, not unlike other strictly cereal crops like wheat or oats. Cannabis hemp seeds contain all the essential amino acids and essential fatty acids necessary to maintain healthy human life. No other single plant source provides complete protein in such an easily digestible form, nor has the oils essential to life in as perfect a ratio for human health and vitality. Hempseed is the highest of any plant in essential fatty acids (EFAs). Hempseed oil is among the lowest in saturated fats at 8% of total oil volume. The oil pressed from hempseed contains 55% lineoleic acid (LA) and 25% linolenic acid (LNA). Only flax oil has more LNA at 58%, but hempseed oil is the highest in total EFAs at 80% of total oil volume. “These essential fatty acids are responsible for our immune response. In the old country the peasants ate hemp butter. They were more resistant to disease than the nobility.” The higher classes wouldn’t eat hemp because the poor ate it. – R. Hamilton, ED.D., Ph.D. Medical Researcher-Biochemist UCLA Emeritus. LA and LNA are involved in producing life-maintaining energy from food and the movement of that energy throughout the body. EFAs govern growth, vitality and state of mind. LA and LNA are involved in transferring oxygen from the air in the lungs to every cell in the body. They play a part in holding oxygen in the cell membrane where it acts as a barrier to invading viruses and bacteria, neither of which thrive in the presence of oxygen. The bent molecular shape of the EFAs keeps them from dissolving into each other. They are slippery and will not clog arteries like the sticky, straight-shaped saturated fats (SFs) and the trans-fatty acids (TFAs) in cooking oils and shortenings that are made by subjecting polyunsaturated oils like LA and LNA to high temperatures during the defining process. LA and LNA possess a slightly negative charge and have a tendency to form very thin surface layers. This proprty is called surface activity, and it provides the power to carry substances like toxins to the surface of the skin, intestinal tract, kidneys, and lungs where they can be removed. These acids’ very sensitivity causes them to break down rapidly into toxic compunds when when refined with high heat, or improper storage exposes them to light or air. Nature provides seeds with an outer shell that safely protects the vital oils and vitamins within from spoilage. It’s also a perfectly edible container. Hempseed can be ground into a paste similar to peanut butter only more delicate in flavour. Udo Erasmus, Ph.D. nutritionist says: “hemp butter puts our peanut butter to shame for nutritional value.” The ground seeds can be baked into breads, cakes, and casseroles. Hempseed makes a hearty addition to granola bars. Pioneers in the fields of biochemistry and human nutrition now believe cardiovascular diseases (CVD) and most cancers are really diseases of fatty degeneration caused by the continued over-consumption of SFs and refived vegetable oils that turn EFAs into carcogenic killers. One out of two Americans will die from the effects of CVD, One out of four Americans will die of cancer. Researchers believe cancers erupt when one’s immune system response is weakened. And, more Americans are succumbing to immune deficiency diseases than ever before. Promising syudies are now under way using the essential oils to support the immune systems of HIV patients. The complete protein in hempseed gives the body all the essential amino acids required to maintain health, and provides the necessary kinds and amounts of amino acids the body needs to make human serum albumin and serum globulins like the immune enhancing gamma gobulin antibodies. The best way to insure the body has enough amino acid material to make the globulins is to eat foods high in globulin proteins. Hempseed protein is 65% globulin edestin plus quantities of albumin (present in all seeds) so it’s easily digestable protein is readily available in a form quite similar to that found in blood plasma. The energy of life is in the whole seed. Hempseed foods taste great and will insure we get enough essential amino acids and essential fatty acids to build strong bodies and immune systems, and to maintain health and vitality. Excerpted from Hempseed Nutrition by Lynn Osburn. Categories: recreational drugs | Tags: cannabis, diet, marijuana, recipe, recreational drugs | Permalink. (Reuters) – Uruguayans will be allowed to buy enough marijuana to roll about 20 joints a week at a price well below the black market rate, the government said on Tuesday as it detailed a new law legalizing the cannabis trade. Categories: Uncategorized | Tags: cannabis, drugs, marijuana, recreational drugs | Permalink.